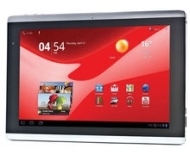 alaTest has collected and analyzed 16 reviews of Packard Bell Liberty Tab. The average rating for this product is 3.5/5, compared to an average rating of 4.3/5 for other products in the same category for all reviews. People are impressed by the performance. The design also gets good feedback. There are some critical opinions about the usability and portability. We analyzed user and expert ratings, product age and more factors. Compared to other products in the same category the Packard Bell Liberty Tab is awarded an overall alaScore™ of 84/100 = Very good quality. While the Liberty Tab requires a bit of optimisation it’s the least expensive path to owning a Honeycomb-powered device. We were pleasantly surprised by the responsiveness and general likability of the Packard Bell Liberty Tab. The hardware and the rather plasticky build are not without their shortcomings, but the specification and price of this tablet is above par. Packard Bell's Liberty Tab is essentially the Acer Iconia A500 with a glossy cover, less obtrusive interface and more efficient Honeycomb OS; with the main reason to prefer this machine being the highly attractive price point.